New to our community? New to Unitarian Universalism? This series reflects our core values and ways you can connect with individuals and groups in the community. We begin with the basics: who we are, how we are organized, how to connect with our groups, and getting to know you. This program meets for one day or two evenings for people new to First UU Richmond. 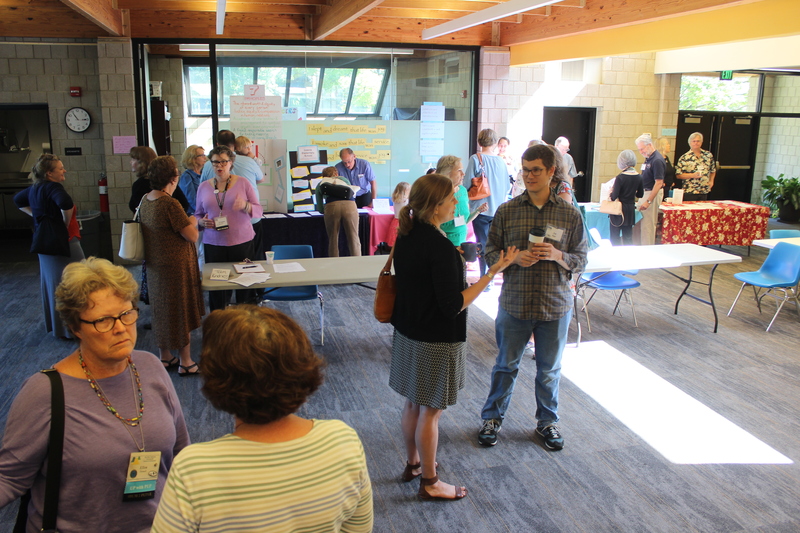 We introduce faith formation, worship and social justice for children, youth and adults, church governance and polity, UU identity and theology, and the many ways to connect with this faith community. You must take this to join, but you do not have to join when you take it. – For those needing Tues./Thurs. evening childcare, please give us at least 2 weeks notice to arrange caregivers. You will receive a confirmation email from Shelly. Thank you! Pathways 2.0 – An Introduction to UU theology and identity. You will receive an invitation to this group if you have completed 1.0 in the last two years. Using the UU Principles and Purposes as a guide, we will reflect on how we can integrate our faith into our daily lives. After you complete Pathways 1.0 you are eligible to join the church if you wish to do so. You will be invited to join Pathways 2.0 which focuses on our Unitarian Universalist theology and identity. Members of the congregation will share their journey and understanding of what it means to practice their faith. Pathways 3.0 – Living the Pledge to End Racism in Richmond. This is a grassroots effort to recognize the worth of every individual by making a personal, daily commitment to remove prejudice from our own lives and to treat all people with dignity and respect. We are committed to racial reconciliation in our city. Pathways 3.0: Living the Pledge is a workshop offered three times each year. Participants explore ways to remove prejudice from their lives and make a commitment to treat all people with dignity and respect.